Okay, I admit… I haven’t been staying on top of writing blogs. So many things are going on right now that it’s so hard to keep up with everything. I started my new job this week, and I’ve got plenty of hours to keep me busy for a while. On top of that, school starts next week. But of course, I still managed to have time to scrap this week. I finished my Pink Sketch #3 layout a few days ago, so make sure to head over on Sunday to check all of the great layouts for this upcoming week! …and so I don’t bore everyone with my ramblings, I uploaded pictures to share. When we first moved into our home, we felt homesick because all of our stuff was packed in boxes, and we don’t have all of our furniture quite yet, so I wanted to make things feel more “homey”. I made this wreath knowing we were going to need color in our little “fixer-upper”. I know it’s a tad early for fall decorating, but thought I’d get a headstart! This has been our lives for the past couple of weeks now – painting! Here, we’re putting on that layer or primer before painting the first layer because we want everything to feel fresh and clean! The layer underneath was originally this really dark maroon color, so you can see it seeping through that first layer. I think we did three layers just to cover it all up! Maui got super bored just sitting there waiting for us to finish, so she plopped herself right on the carpet. Hopefully soon, we’ll be able to rip out the carpet and put new flooring in. I’m really excited for that! I bought this collar for Maui over a month ago, and we’ve gotten tons of compliments on it! She seems to like it a lot, so it must be comfortable. My favorite part about this collar is that it is personalized with her name and phone number. The stitching on it is superb, and I definitely plan on getting her another one with a different design. 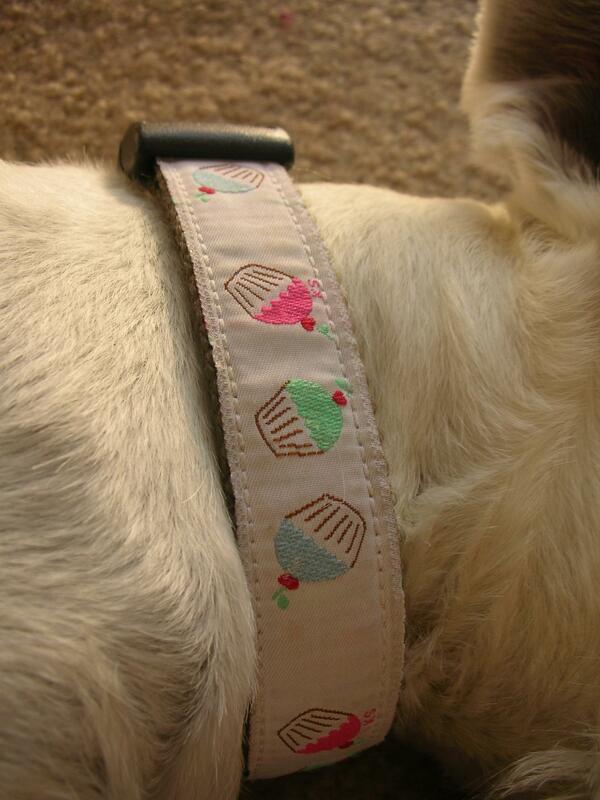 I bought this collar on Etsy from Bice Designs. There are a bunch of cute designs and patterns for these dog collars, so if you’re looking for one, head over to that Etsy shop. More pictures of the collar are below. The 2nd picture shows what her name looks like on the collar. I cut off the phone number part in the picture for the sake of my privacy! — and she so does not look thrilled that Mommy is taking pictures of her while she is trying to fall asleep. Here are the rules for the award: (1) The winner can put the logo on their blog. (2) Link the person you received your award from. (3) Nominate at least 7 other blogs. (4) Put links of those on yours. (5) Leave a message on the blogs of the girls or boys you’ve nominated. And just like Deb and Sophia, I’m going to have to nominate and link this to the Pink Sketches girls! They’re amazing and super talented, and I’m humbled to be working with such talented and sweet people! …and yeah, I totally broke the rules to because I nominated 6 not 7. hehe. 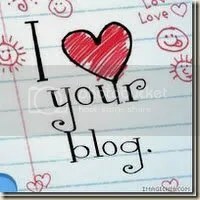 Make sure to visit their blogs and leave them lots of love! love it! i hope everything finishes with the house, it can get super stressful. my partner and I are in the same process and it’s driving us bananas! keep strong and i love your work. Hope you finish with the house very, very soon! 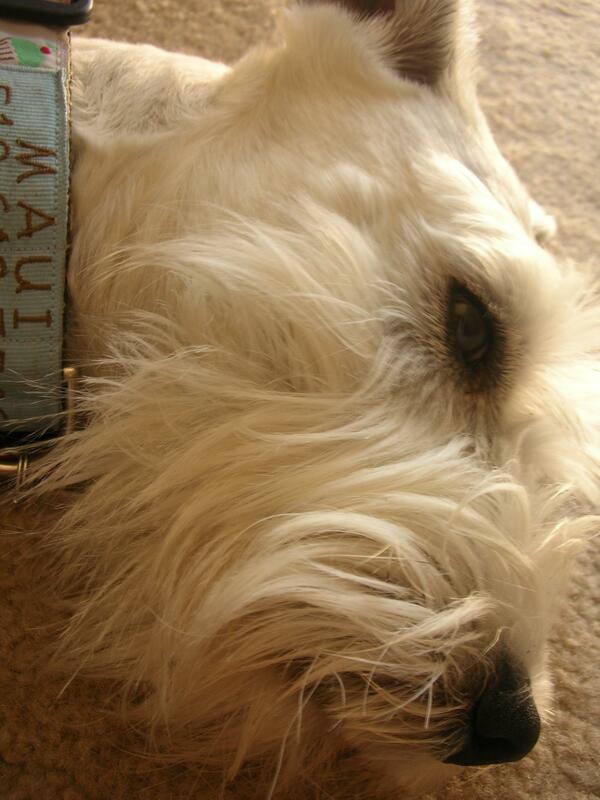 Went through painting the whole house, ripping the carpet and putting new floors couple of years ago when we got the house-don’t wanna do it ever again:) Love Maui’s collar! She is super cute!